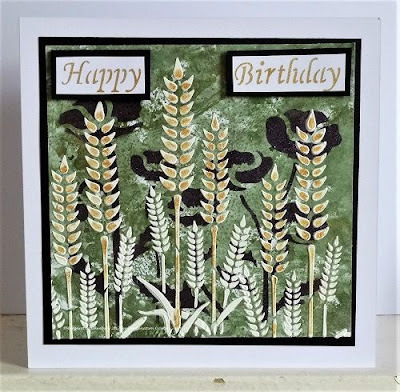 For the first card I applied Black Starlight Wax through the Modern Flowers stencil onto a piece of white card I painted with a wash of Japanese Jade Alchemy Wax. I then applied Structure Paste through the Flutterby stencil and when that was dry I brushed on a little Silver Sparkle Medium to highlight the butterflies. Wheat panel stencil and when it was dry I brushed Gold Shine Sparkle Medium on top. Tonight sees the launch of a new Imagination One Day Special on Hochanda. I hope you can join Sue at 8pm and then tomorrow at 9am, 12pm, 4pm and 7pm. 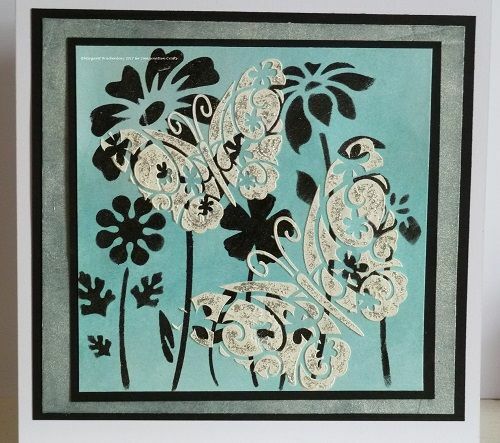 All the products in the show can be found on the Imagination page on the Hochanda website. There are some great savings to be had & the ODS itself is a real bargain. Thanks for visiting the Imagination blog today, I hope you have a lovely weekend. I love making my own backgrounds, but for quickness Imagination's range of patterned card is perfect. 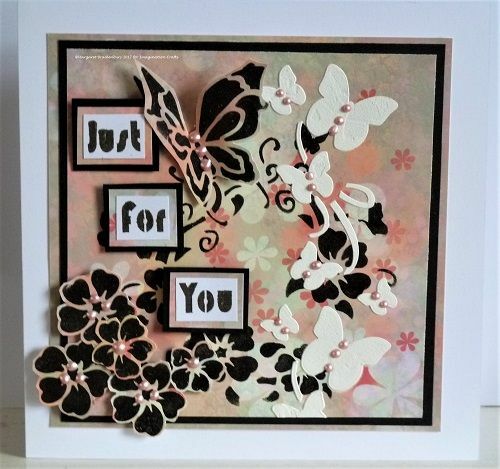 Not only are there lots of beautiful designs to choose from, but the card takes paint/wax/structure paste/etc. really well. 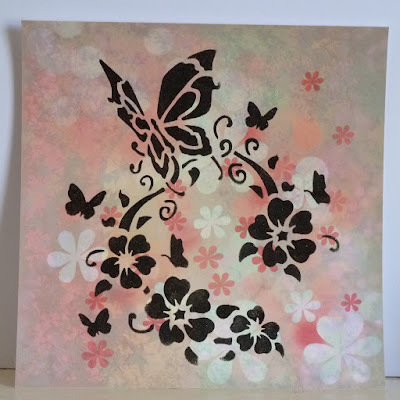 I used the Butterfly Spring stencil and applied Black Starlight Wax onto two pieces of Wildflower patterned card with a piece of Cut and Use foam. Just a tip; I cut my pieces of foam into little fat fingers, I find they are really easy to handle, particularly in small areas. I hope you like my card, I had such fun making it that I made two more in the same way. I'll show you those another day. 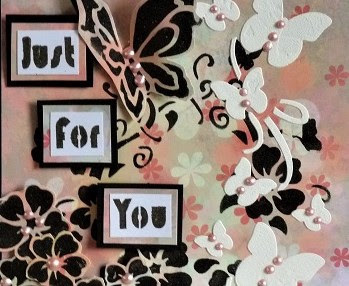 Thank you for visiting the Imagination Crafts' blog today.